Stackable Stamped Tribe Bracelets Only $9.99! Ships FREE! You are here: Home / Great Deals / Stackable Stamped Tribe Bracelets Only $9.99! Ships FREE! Order one or more of the Stackable Stamped Tribe Bracelets for Only $9.99! Ships FREE! Other sayings available! 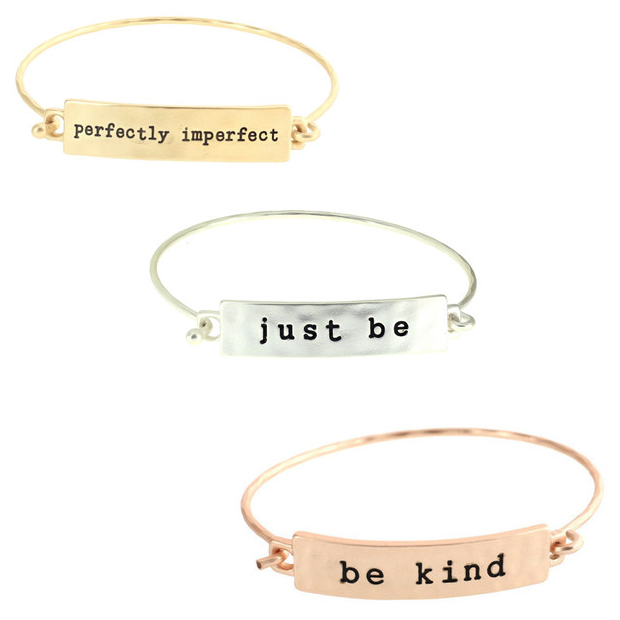 These metal bracelets are stamped with the ideas that inspire us! Normally $24.99, use promo code TRIBE15 at checkout to get this fabulous deal!